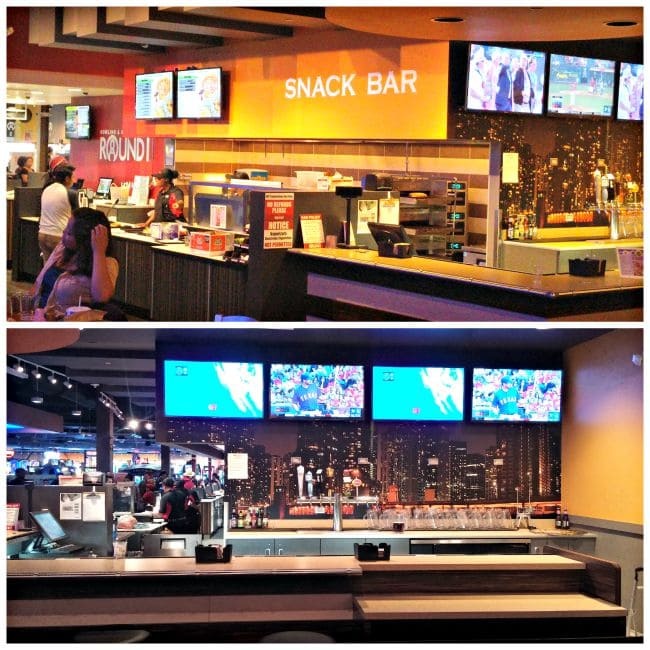 Round 1 – A New Family Entertainment Spot in Tukwila (Westfield Southcenter Mall)! 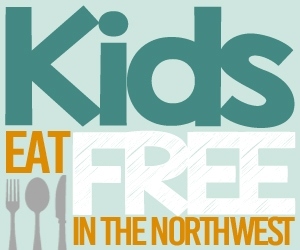 Looking for a fun way to get out for some family entertainment this weekend? 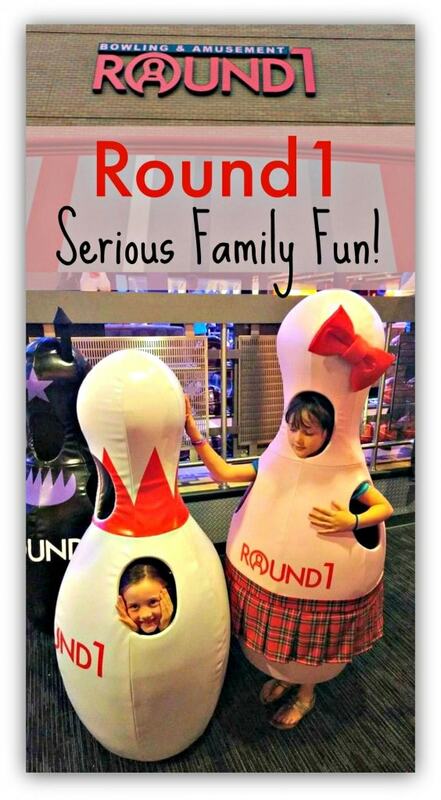 Check out Round 1, the newest family entertainment center at the Westfield Southcenter Mall in Tukwila. 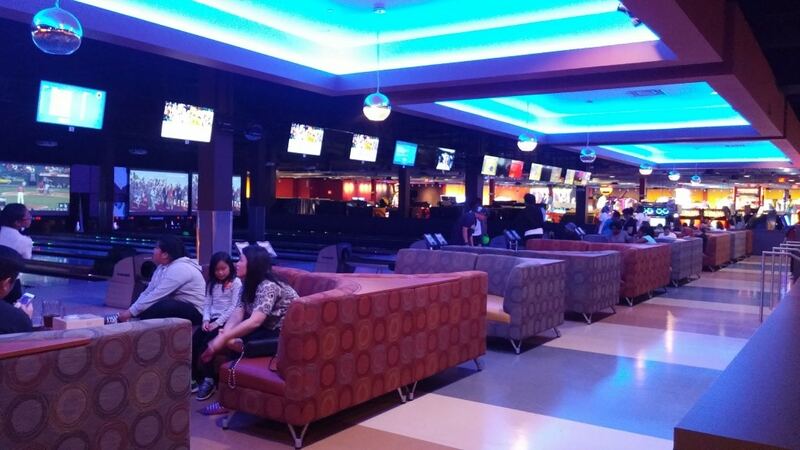 There is lots to do with activities like bowling, karaoke and over 200 fun games for the kids to play. 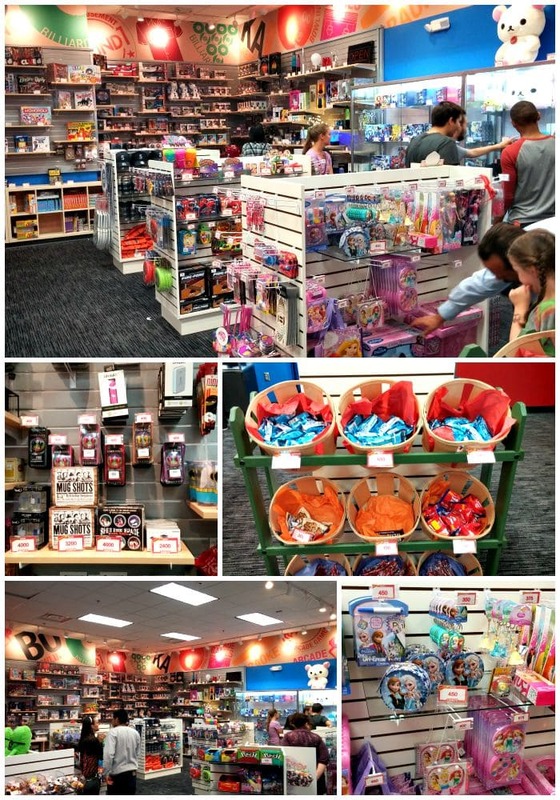 Plus they have the biggest prize room I have seen, if your kids like to play the games for tickets to redeem for prizes! My family visiting this past weekend, and were there for around 4 hours, and everyone had a blast! There were 5 of us and we started with Karaoke, then moved to bowling, and games. We planned to play billiards too, but just ran out of time. My favorite things is that everyone in my family can have fun (from my elementary age kids, to the teen and even grandma came with us to have fun with the kids). The weekends can be very busy, so plan accordingly. Thurs. – Saturday nights are the busiest times. If you visit during a busy time, you may have wait times for a bowling alley, or Karaoke room, or billiards table – so plan accordingly. Karaoke – My kids LOVED this! 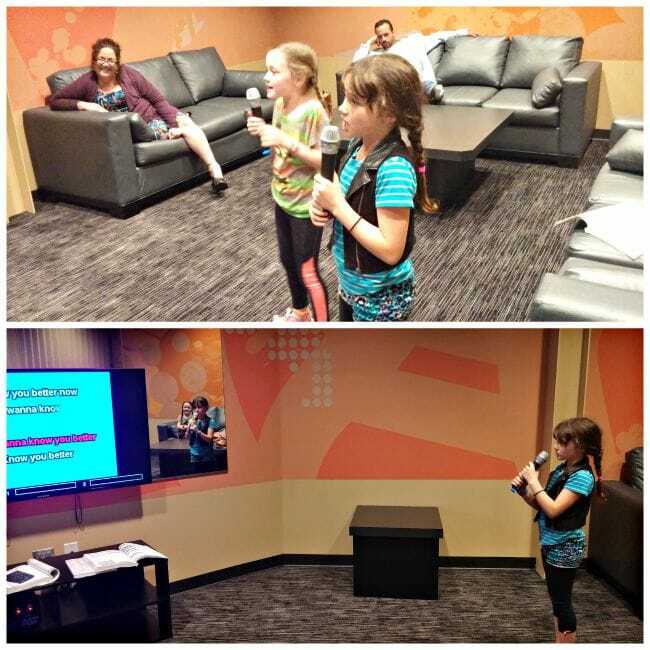 Its the first time we have taken the kids to Karaoke, and it was one of the highlights of the trip for them. What I liked is you get your own personal Karaoke room, so no need to be embarrassed! The Karaoke rooms are rented out on a per hour rate. Prices vary depending on group size, when you visit, and how long you want the room for. You can rent one for as low as $6 per hour for up to 4 people, with club membership. They also pro-rate your time in there. So if you only wanted to use it for a half hour, you would pay just half price of the hour rate (ie $3.50 for cheapest time slots). It can be a very affordable activity with the kids. You will need your ID to rent a room (and they will hold it until you return the equipment). You can bring food and drink in the room. That means you can order from their cafe and eat it in the Karaoke room while you have fun (there are couches and tables). There are pros and cons to this. Eating takes away from the time you can sing, and you are paying for that time. We opted to order dinner from the cafe and eat in the Karaoke room. I figured since the cost of the room was fairly affordable, we wanted to also use that time to enjoy dinner. It would probably be smarter to eat outside though, and focus on Karaoke when paying for the room. The rooms are not sound proof. You can hear the people next to you if the rooms are rented out. Once your machine is on, you can really only hear the singing in your room, but that is something to know ahead of time. They are working to regulate the volume across rooms better, so this would help with this, but for now if your neighbors have their volume up chances are you will hear them pretty well. You only pay for the time you actually use in the room! Bowling – We love to bowl together, but bowling can be pricey. I loved the option for unlimited bowling (around $12.49 per person for non-peak times, with a membership card). Considering what we have to pay at other bowling alleys per game, that seemed like a great deal to me! The Round 1 bowling alleys are brand new, and beautiful. If you are bowling with small kids, you can set things up so the bumpers come up on their turn (automatically) and then go down when they are finished. 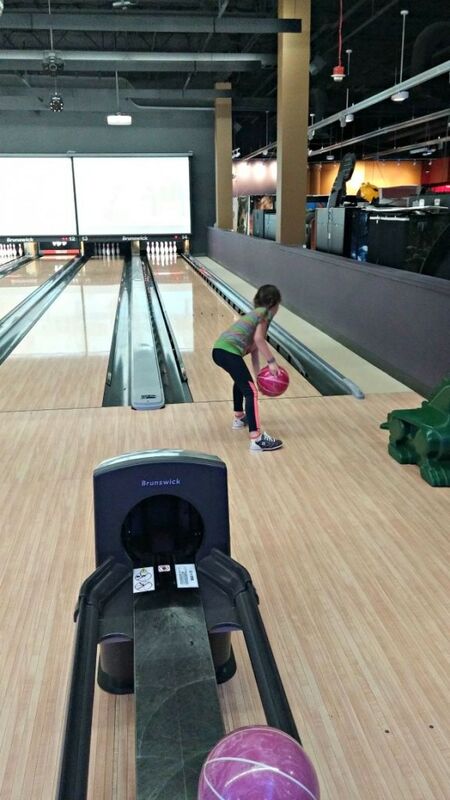 We had not had this option at other places we have bowled, so this was wonderful for us – as we have kids across multiple ages. Its a matter of setting it up with a button when you set the players up, and that is it. Everything else is automated. They host special games from time to time. While we were bowling, they stopped everyone and dimmed the lights and ran a contest for the next person in line with your group. Everyone stepped up to bowl once, and if you got 9+ pins on that try you won special prizes. My kids loved this! Shoes are dispensed out of a machine and come in mens sizes. That means if you wear womens sizes, they wil tell you to go down a size and a half (they will instruct you at counter). Kids shoes are kept behind counter. 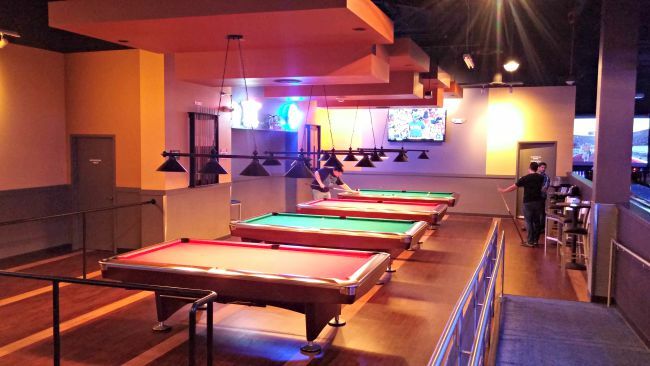 Billiards – we planned to play some pool, but we just ran out of time and energy on our first visit. The cafe on site is fairly affordable, so you could turn this into a cheap date night too. Pick up some Nacho Supreme for $5.99 and an hour of pool for as low as $5 (with membership) and you have date night for under $15! You do rent the tables by the hour, and like the Karaoke room they can be pro-rated too (so you pay for the time you use). Arcade Games – Round 1 has over 200 arcade games onsite, and many are imported from Japan and Korea, so you will see games you will not see at other places. The games will cost $1-$2 (they run on a credit system). You pre-pay for a game card that you then swipe through the game to deduct the credits off of that card. Each credit equals $.25 cents, so if the game is 6 credits, that would be $1.50. 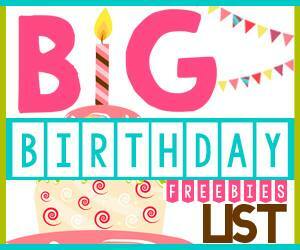 Most games will win you tickets, that you can redeem for prizes! They also have the largest prize room I have ever seen. Most places have a prize counter, but this was an actual room you walk into so the kids could look at all the prizes up close. There were also many options in various ranges, so something for everyone who plays to win! My kids spent way to long in here deciding. Again, they loved it! You will likely want to get a separate game card for everyone who will be playing. The reason for this is that most of the games will automatically load whatever tickets you win to your card (which I thought was so much more convenient then having to carry a bunch of tickets around). A few of the smaller games still spit out tickets, but most of it is all handled on your card here. We only got one card for our family, so the kids had to split the tickets evenly. This works if you want them to have to share their tickets – but if you want everyone to redeem the tickets they won then they will need their own card. You can reload the card at kiosks out on the game floor. The game card line can get very busy on weekend nights, so this could save you lots of time. They have photo machines from Japan that are fun for the kids. They are $6 ea, so not one of the cheaper things to do, but you take the picture and then the kids can modify, add stickers, etc. before printing them out as stickers or other items. My kids spent lots of time decorating their images, so if you have kids who like to scrap book etc, this is one that you might want to check out. It uses the game card to do it. Make sure you leave enough time to visit the prize room. If you plan to visit often you can save your tickets on your card and let them build up too. There are so many prize options, kids can really spend some time looking through them, so I would not plan on running in and out of there. They do have a cafe and separate bar area on site if you want to eat and drink while you are there. Prices are not outrageous (ie cheese burger for $4.99), but you are also at Westfield Mall, which has lots of eating options if you wanted to do that too. Visit during the non-peak times (weekdays). Round 1 prices go up during peak times. So if you want to save the most, plan your trip around the lowest priced times (plus you will avoid some crazy crowds that show up Thurs – Sat)! Generally, the best rates you will find will be on visits from 10am to 4pm on M-F. You can find their full price list here to plan your visit. Sign up for a club membership. Its only $5 per year, and you will likely make that back (and more) on one visit. You get $1 off bowling, $1 off per hour on Karaoke, $1 off per hour on billards, etc. The savings can add up. Here are the details on the Round 1 membership club. Plan your itinerary ahead of time. In addition to helping you enjoy your visit more, this will help you set a budget ahead of time and stick to it. Take a look at their price list before visiting, and decide what you want to do. 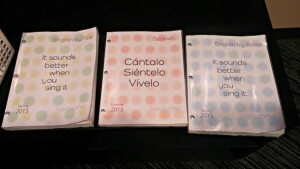 then you can know what you will be spending, and set expectations with the kids on what they can do during the visit. This was a huge help for us, as it can be overwhelming once you get there and there is so much to do. Leave the games until last. 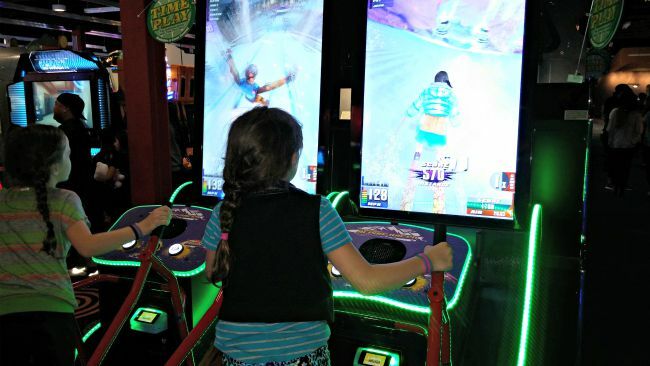 If your family loves to play the arcade games, leave those for the end of your visit. These will probably be the part of your visit that will add up the most. The games themselves are only around $1-$2 per game, but they are played so quickly that the money will add up quickly. Things like the Karaoke room and Bowling can be more affordable activities that last for longer periods of time, so if you do those first, you can still add in a few games, and it will be hours worth of family fun. Another tip here – get a separate game card for each family member who wants to earn tickets (unless they want to share). Here is a sample idea of how a family of 4 could have fun on a weekday from 10-4 for the whole afternoon! That is $39 for around 3 hours of family fun (less then $10 per person so far). You could cut out the bowling, and save lots that way too! 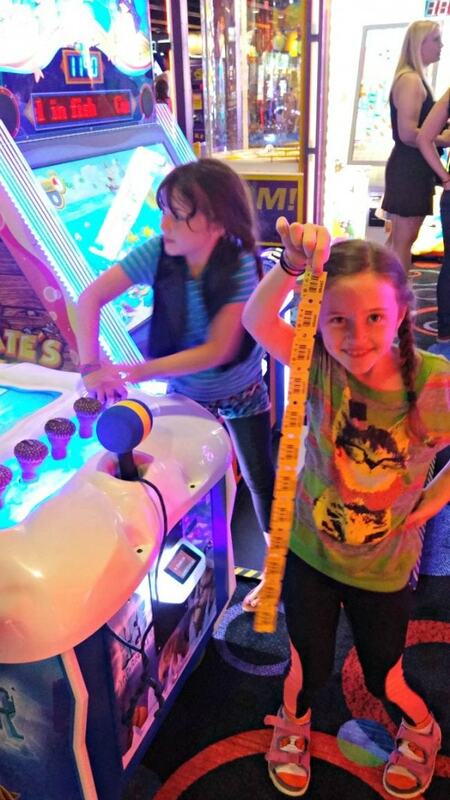 My kids love the arcade games, and those will add up fast. Assume that $20 will get you around 10 – 15 games (depending on which ones they select). Disclosure: Round 1 provided my family a voucher to come visit and provide a review for Thrifty NW Mom. All opinions are 100% my own. See our disclosure policy for more information.